We met them at Rob’s family’s farm in Lancaster, PA, on a beautiful fall Saturday evening. The farm is a gorgeous with a wood and stone barn, wheat field, and their two sweet horses. Colleen also brought her dog, Ace! Ace is a HUGE dog, and he has a super sweet and active personality. Colleen and Rob love him so much, he had to be in their engagement photos too! During this time I got to learn a lot about them both. This “crazy-in-love” couple not only have a lot in common but both share a lot of respect for one another. I can’t wait to for this fun and kind hearted couple’s wedding day. 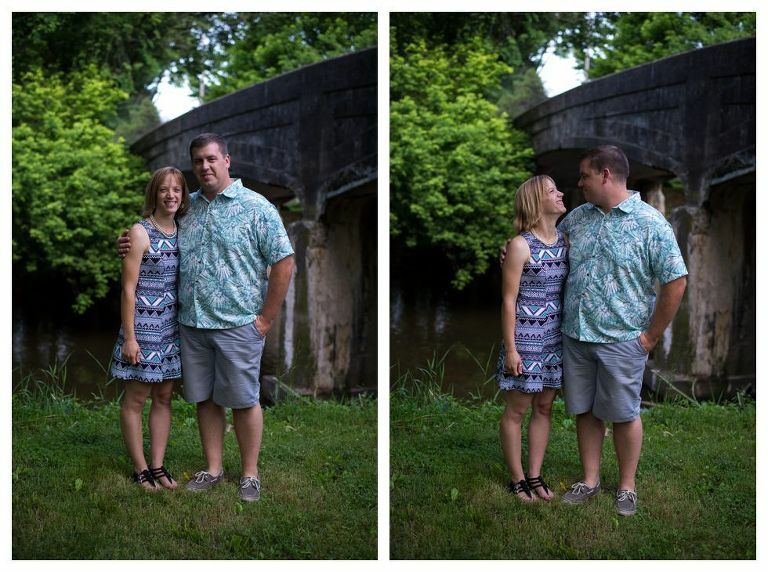 Kate and Carlos asked me if I would come to their quaint town of Phoenixville, PA for their engagement photos. I was immediately excited! As I have written in previous blogs, photography gives me the opportunity to explore. What could be more fun combined with my couple’s knowledge of cool spots in their town. We met for our photoshoot at the Foundry. If you have never heard of it, I would suggest looking at their website www.phoenixvillefoundry.com to learn some of its unique history. One of the things I quickly loved about Phoenixville is the steel bridges that seem to pop up around town. For me as a photographer, I couldn’t think of a more perfect backdrop than a steel bridge with its rustic flair and design. Another stop along Main Street was the jewelry store where Carlos bought Kate’s engagement ring. This provided an opportune time to capture a special memory for the couple. As an added bonus, the store owner has two adorable dogs at the store, who were dressed as a bride and groom. I must say what an ideal way to market a jewelry store!!! The entire afternoon was filled with laughter and catching up. It was almost like I was spending time with old friends. Kate and Carlos are such a fun and playful couple. The reasons these two chose each other to spend their lifetime is very transparent. I am convinced Kate and Carlos are headed for wedded bliss. That’s staying power, people!! I’m one of those people, who would rather fill my day to the brim than say I have extra time to spare. Photography allows me to not just busy my day, but photo shoots encourage me to explore new and hidden areas. One of my favorite things I love about being a transplant Lancaster County resident is exploring Downtown Lancaster and all that it has to offer. I do not say this lightly as I am always amazed about all of the new happenings in Downtown Lancaster. It is exciting when I am asked to do a photography shoot downtown because I know I will see something new or have something new pointed out to me from another person’s perspective. You really don’t have to go too far to find something unique in Downtown Lancaster with its vast landscapes and structures with phenomenal architectural textures. For Samantha and Domenic’s engagement shoot, this was their first time visiting Downtown Lancaster. I had an ample opportunity as their photographer to make sure this was a visit to remember not only by ensuring great photos, but also by showing them some cool spots and giving them a glimpse of the rich history of Downtown Lancaster. 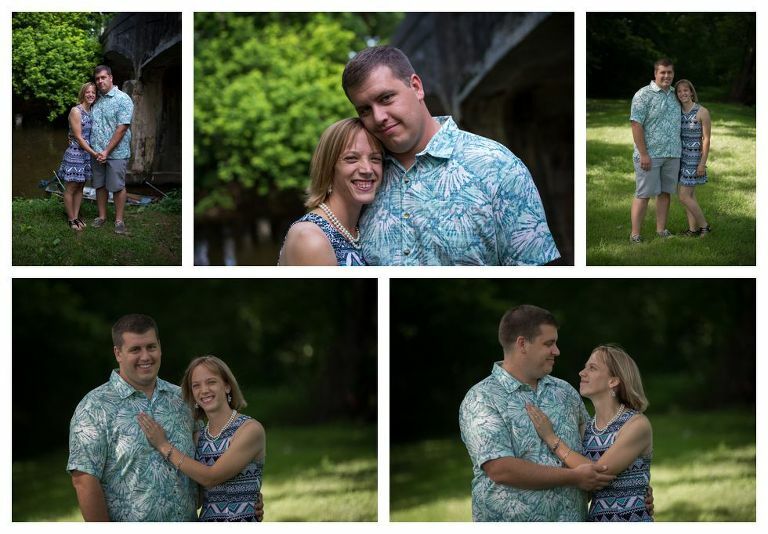 Thanks Samantha and Domenic for driving over an hour for your engagement shoot. I hope you enjoyed your photo session and the new memories created might bring you back for a future visit to Lancaster. Congratulations again on your engagement and I hope all of your wedding dreams come true.